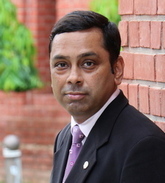 Dr. Prakash Singh is a Professor at IIM Lucknow where he has been teaching in the Finance and Accounting area since 2006. Earlier he has worked with Kotak Mahindra Finance Ltd (Now Kotak Bank) and Escorts Yamaha Motors Ltd. He has also taught at BITS, Pilani for approximately 2 years before joining IIM Lucknow.